Remove any rocks, roots, or debris from the area to be seeded. Till the area to level uneven ground. 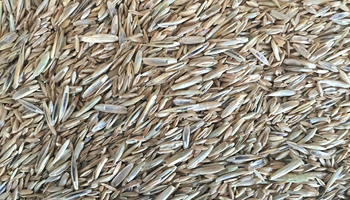 Apply grass seed with a spreader on a day with minimum wind conditions. Apply the seed in two passes, first from North to South, then from East to West ensuring that you have covered all the area needing seed. Cover the seeded area with a thin layer of topsoil. 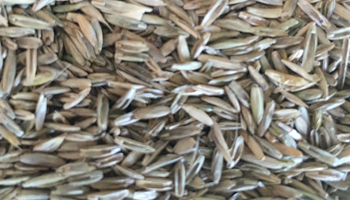 Roll the seeded area with a lawn roller to compact the area in the same pattern that you applied the seed. Water the seeded area with a light even spray every other day until seedlings sprout. When seedlings sprout you can reduce number of watering days. 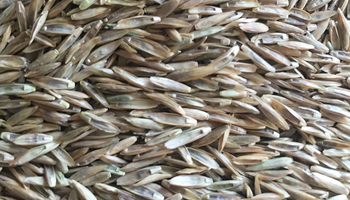 If it rains, you may have to reseed as heavy rain can wash the seed away. Avoid cutting your new lawn until it has grown at least 4”. 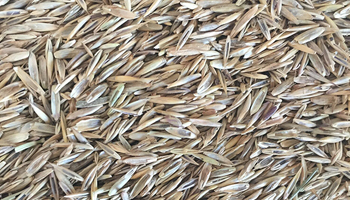 Sunny Mix Grass seed contains a premium blend of Kentucky Blue Grasses, Perennial Rye Grasses, and Creeping Red Fescue. Sold by the lb, or in 2lb, 5lb, 10lb, or 50 lb bags. Coverage: Approximately 200 Sq Ft. per Lb. 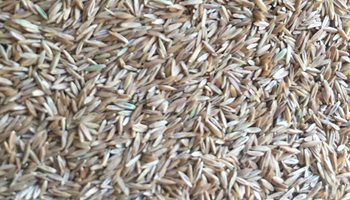 Economy Mix grass seed contains a premium blend of Creeping Red Fescue, Annual Rye, Perennial Rye, and Kentucky Blue Grass. Sold by the lb, or in 2 lb, 5 lb, 10 lb, or 50 lb bags. 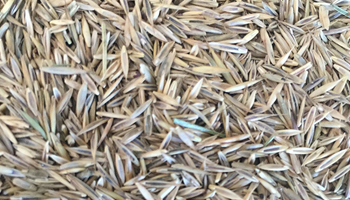 Shady Mix Grass Seed contains a premium blend of Fescues, Perennial Ryegrass, and Trivialis. Sold by the lb, or in 2lb, 5lb, 10lb or 50lb bags. Coverage: Approximately 330 Sq Ft. per Lb.